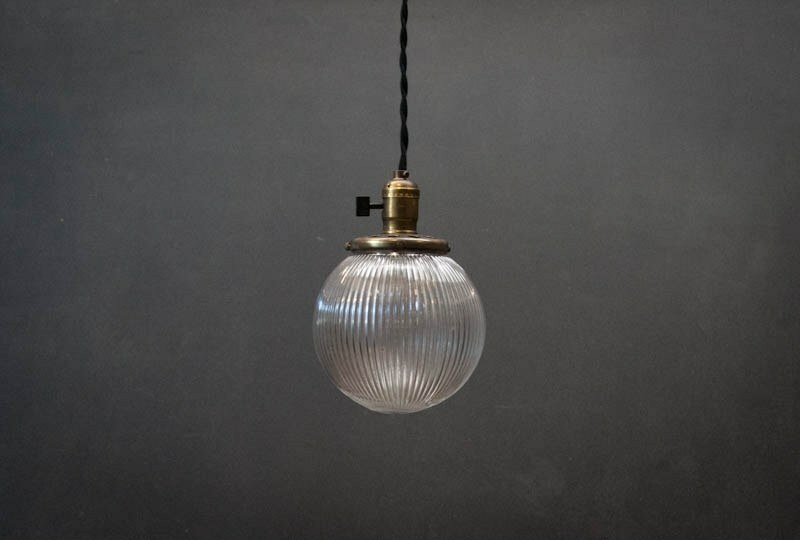 $285 Vintage Barber Shop Clear Glass Globe, Antique Brass Socket, Cloth Wire, 6" Dia, 12 Avail. $280 Vintage Holophane Luminaire Prismatic Glass Globe Pendant. 6" Dia, 9 Avail. 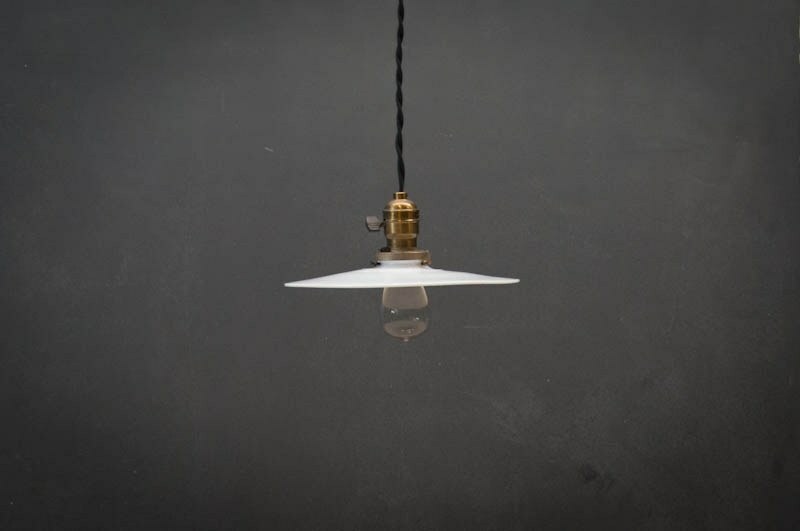 $730 Each, USA, 1910s, Vintage Opal Milk Glass Flat Reflector Pendants. 10" Dia, Pair Avail. 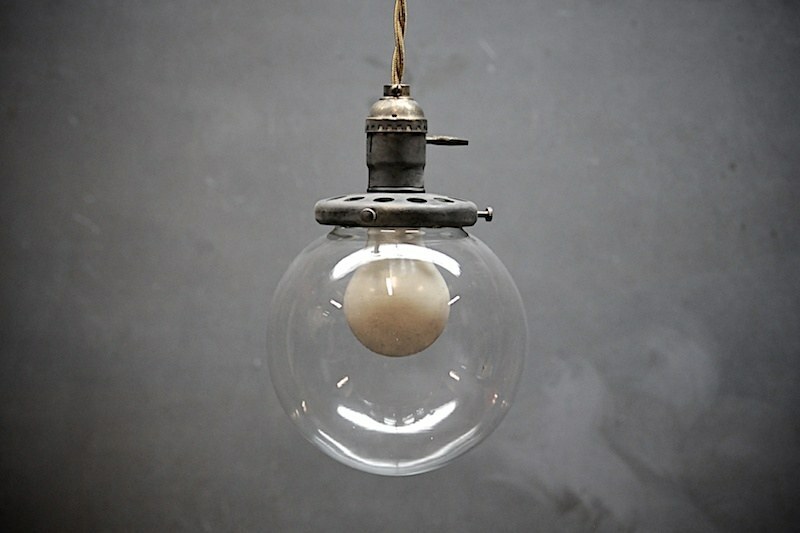 $410 Each, USA, 1930s, Vintage Spun Aluminum Industrial Cage Pendant Lights. Oxidized Aluminum Shades with Wire Bulb Cages. Dia. 9", 6 Available.